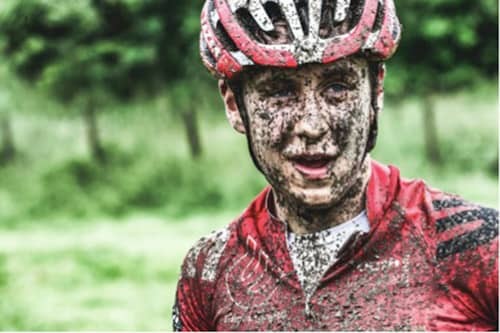 After a long, hard winter of training with lots of fun and awesome riding, the season was quickly approaching. 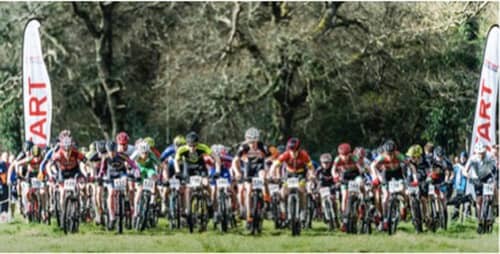 With MTB being my main training focus and aim for the year, I couldn’t wait to test my form at the British (BMBS) and Scottish (SXC) MTB series events. My first main aim of the season was round 1 of the BMBS in Pembrey, South Wales. The course was quite flat and undulating with just a few technical sections which were good fun, although I was a little disappointed that one section had to be removed due to crashes in practice. The race went super well for me! I started well and used one of the technical sections to break away from the group at about the halfway stage. 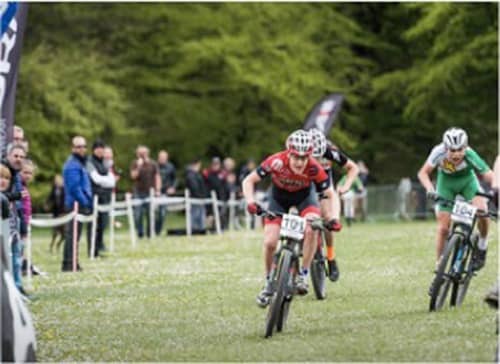 I continued to ride hard and could barely contain myself on the final lap as I had my first win at national level in my sights. Crossing the line 1st with time to relax and celebrate was so cool and exciting. It was nice to see so many Scottish riders fighting within the top 10, no doubt thanks to Paul Newnham’s great help throughout the winter! I have always believed that good MTB training will stand you in good stead for any road race. Although I had been doing plenty of training on the road, it was hard for me to get much road racing in with a packed schedule. It was good to be racing at the Hetton Road national but as is often the case at youth road races with fields of 90+ riders, the race was full of crashes. I managed to stay out of trouble and get involved in a few moves however my legs weren’t feeling great and 2 crashes at the front of the bunch within the last 30 minutes of the race put me out of contention. Going into Plymouth Round 2 of BMBS I was excited as it was the first time I had ever been the first gridded rider in a race of this standard. The course in Plymouth is one of the best out there, with lots of technical descents and steep climbs. It was good practicing alongside the other Scottish riders as we are all strong descenders and we were able to discuss lines. The race started well but I made a few mistakes on lap 1 losing ground to the leading duo however a strong latter half of the race brought me up to 3rd just 11 seconds off the win, a promising sign for the races to come. A few weeks later it was round 3 of the BMBS in Dalby, Yorkshire. My training was going well and I was looking forward to racing on the old world cup course! The racing was, as usual, very tight at the front with the lead constantly changing. I rode well making few mistakes and by the final lap I was at the front in a group of 3. For the entire last half lap we were constantly attacking each other with gaps forming and closing at all times. I eventually got into the lead going into the final short climb where I gave 100% to stay in front. I entered the finish arena 1st and put in a big kick, managing to narrowly hold on for the victory. It was a big breakthrough for me to fully prove my capability to repeat wins at this level and gave me a good lead in the national series leading into the final 2 rounds. Next up was the penultimate round of the BMBS at Builth Wells, Wales. The tough course was made even tougher by the very muddy and wet conditions. During the race the descents were almost unrideable and the climbs were super hard, leading to the race splitting up very early on. Everyone was slipping off all over the place and at times it felt more like a cyclocross race than an MTB race. I was fairly happy to emerge from the chaos in 3rd place leaving me in the fight for the win in the overall series! 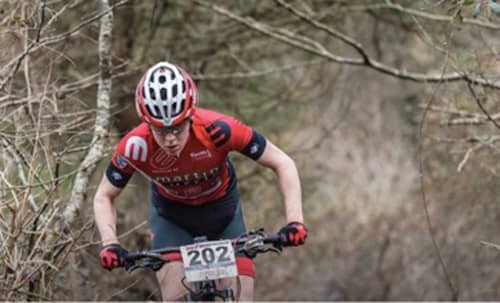 During this time I have also been racing in the Scottish XC series. They have been a great chance for the Scottish riders to get together and have a good battle, and, with such a high standard in Scotland the racing has been at a very high standard. 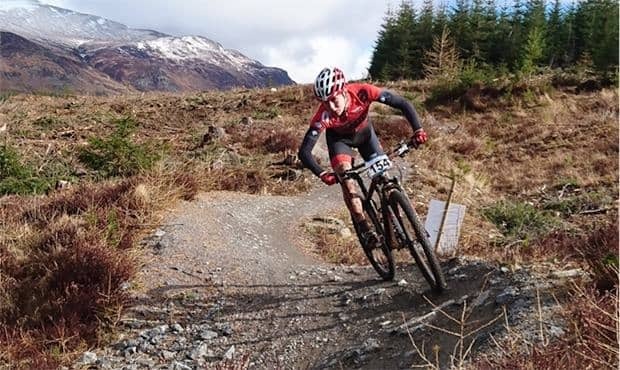 I feel very privileged to get such quality races at regional (Scottish) level which is no doubt one of the main reasons that the Scottish riders are performing at such a high level in Britain. I would also like to thank everyone who has helped me along the way this year. 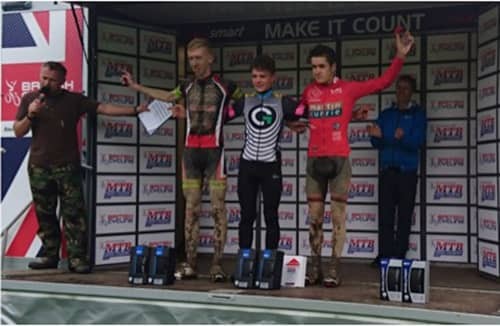 Thanks to Martin Currie and Braveheart cycling fund for supporting the ERC Youth team. Big thanks to the Robertson Trust (Sports Aid Scotland) for their great support this year. Also thanks to the Bicycle works for all their last minute fixes and to Dougie at Edinburgh bike fitting for the great bike fits!